The carnival itself is actually a tradition under masks, which is called Sveti Vasilja (Vasilica). It is held on the 13th and 14th of Januar yeach year and is dedicated to St. Vasilius The Great. On that day the arrival of the New (orthodox) Year is awaited and the old year is sent away. This is actually a pagan tradition which is preserved here until today. The participants in it are called "vasilicari". The masks can be traditional or of modern day. In these two days, the people of Vevcani enjoy the magic and the mystic of the ceremony. Transformed into another character, through songs and dances they fulfil their wishes which they want in real life-to be happy and joyful. The Strumica Carnival is one of the most important custom and tradition of such kind in the Republic. The Strumica Carnival is traditionally held each year within the Trimeri days. The beginning of the fast or the first three days are called "Trimeri" days and they always begin on Sunday Eve of Forgiveness and last until Wednesday, within these days that is to say on Tuesday is the traditional carnival night, when masked groups stroll through the town and got to the homes where there are engaged girls and stay until the early morning hours. A festival that officially began in 1964. Held to mark the beginning of the wine grape harvest as well as commemorating the liberation of Kavadarci. It takes place over several days (beginning of September) and is one the largest cultural manifestations of its kind in the Tikves region. The festival includes folk, pop and rock concerts, traditional dancing, seminars, presentations and exhibitions. 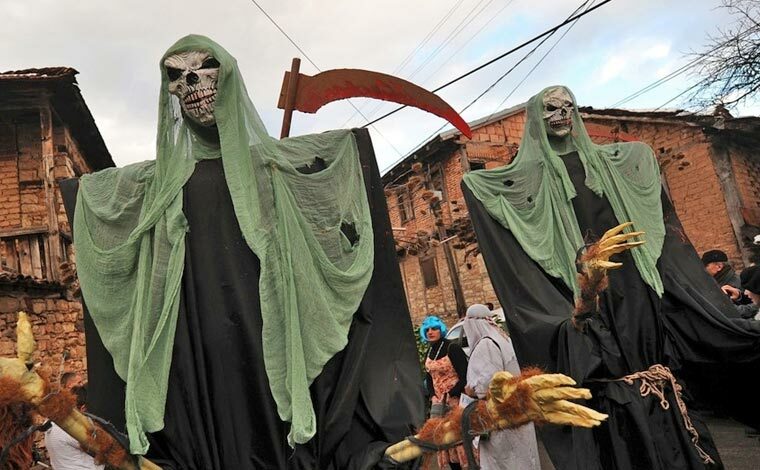 This culminates in a carnival procession through the main streets of Kavadarci. Shtip boasts the largest festival of contemporary music in Republic of Macedonia called MakFest. It is held every November in the Cultural Center "Aco sopov" for over two decades. The festival has been held annually from July 12th to August 20th, since 1961. A member of the European Festivals Association since 1994, and is regarded as one of the most prestigious international events of its kind. The Festival programme has focussed on classical music, ballet, opera and theatre. In recent years, the Festival has also opened its doors to alternative works and performances, keeping abreast of contem­porary Euro­pean and international cultural developments. Takes place at the ancient Ohrid theatre (capacity more than 4,000 seats). Leading music event in the Republic of Macedonia with a remarkable tradition and an excellent reputation in Europe and around the world. It is regarded as one of the best jazz festivals in Europe. The event was established in 1982 by a group of jazz enthusiasts from Skopje. The festival is held every year in the third week of October, over five or six consecutive days. The program­mes have included performances of all jazz styles. An international beer and grill festival. 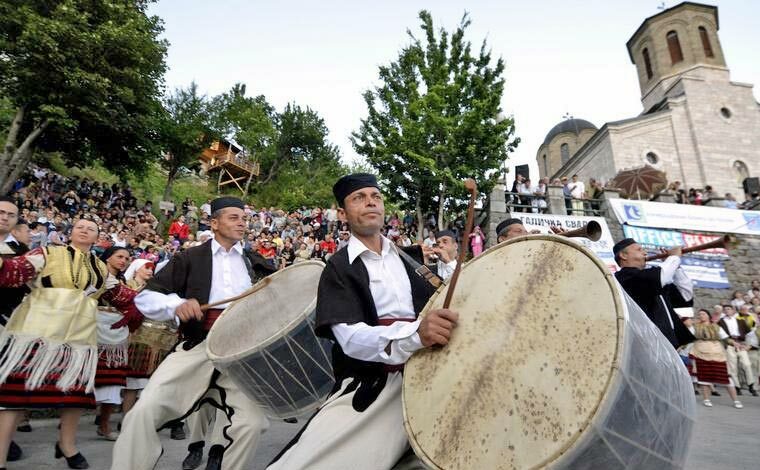 The festival takes place on the streets of Prilep, usually in the beginning of July. Many renowned beer producers from the Balkans and beyond participate in this event. Sausages and burgers, endless streams of beer, and great music to everyone's taste contribute to the merry atmosphere of this three-day festival. Held on 12th July every year and has a century-old tradition. This is an event to commemorate the traditional wedding customs and pay tribute to the Macedonian cultural heritage. The bride and the groom, as well as the wedding guests, are adorned in the beautiful Galicnik folk costumes, famous for being one of the most luxuriously ornamented, as compared with other folk costumes in Macedonia, or even the Balkans. The wedding takes place in the village church of St. Peter and Paul.